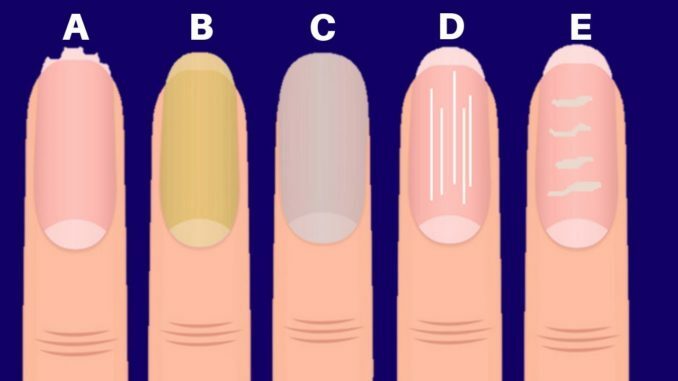 There is a strong connection between the circulation of blood in the body and color of your nails. It is not a rocket science to understand whenever pumping of the heart is normal, it supplies oxygenated blood to the different organs of the body and tissues. However,if the pumping action of the heart is weak denotes increase of carbon dioxide in the blood as the lungs responsible to remove this excess CO2 are not getting refilled with enough oxygen. 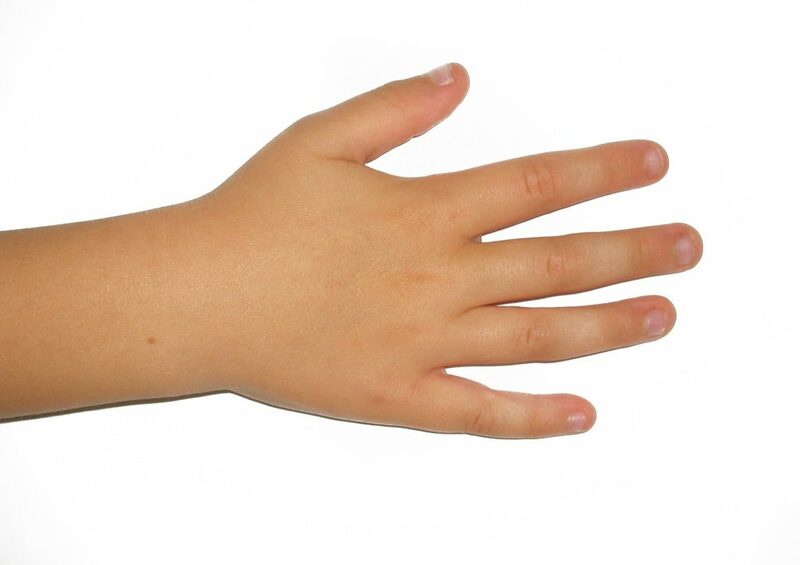 This results in poor circulation of the blood and the nails of the person turns into blue or purple in color either at the base or in its entirety. 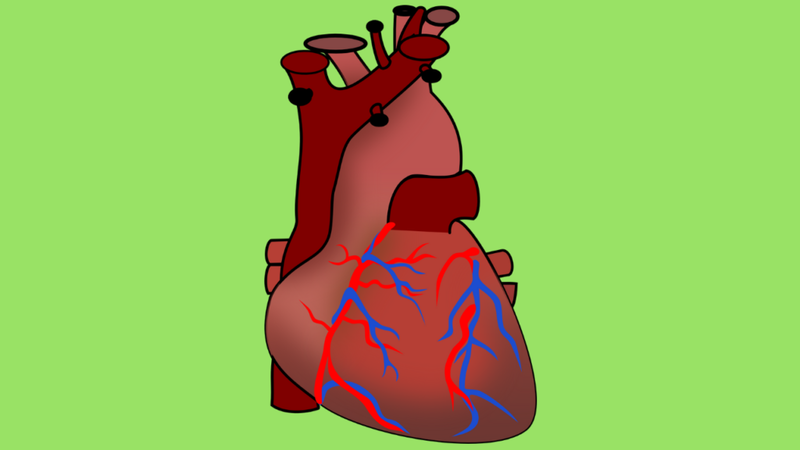 Such condition requires immediate attention of a doctor as it suggests weak condition of the heart. 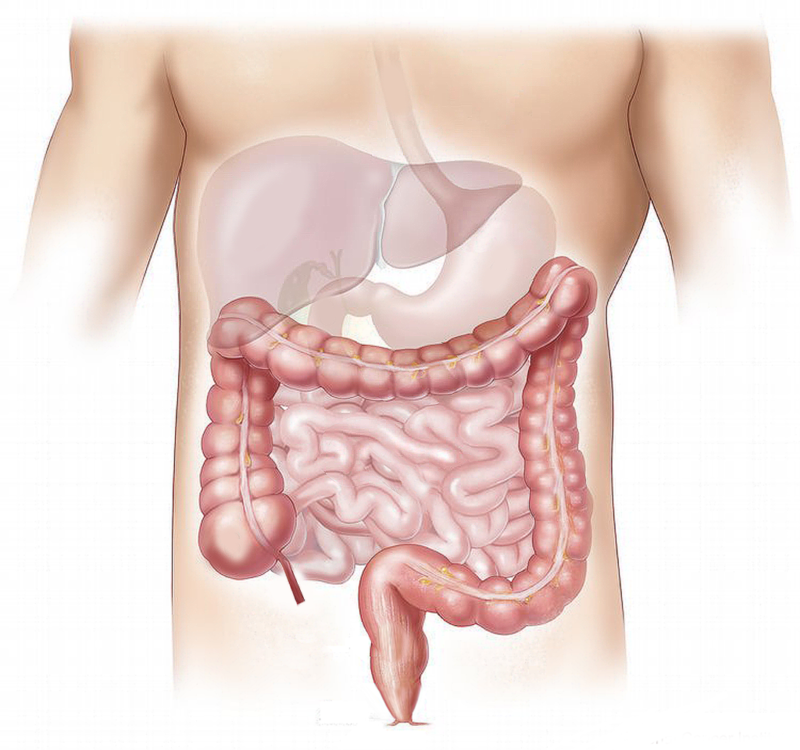 The liver produces bile,a yellow greenish color fluid that helps in the digestion of fats and removal of toxins in the body. If the liver fails to function normally,it starts secreting excess bile which makes it way into the blood. That is the reason why the hands and particularly nails turns more or less yellow in color according to the amount of bile present in the blood stream. Such person develops an irritating, moody and unpleasant personality who has a very negative approach towards life. 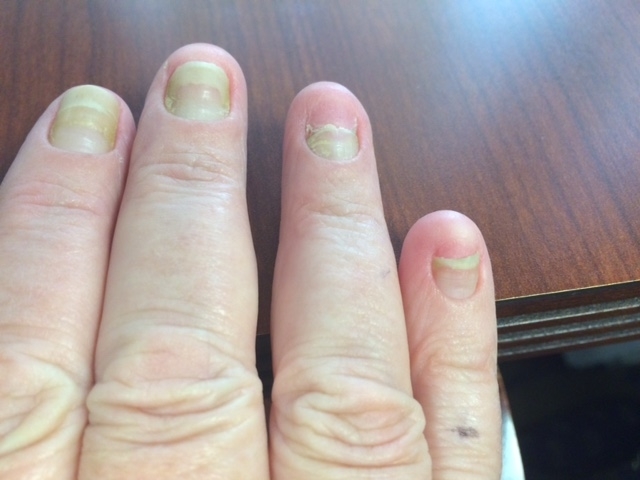 When the nails are thick and yellow,there are high chances of getting a disease such as lymphedema and respiratory track disorders which is also known as yellow nail syndrome. 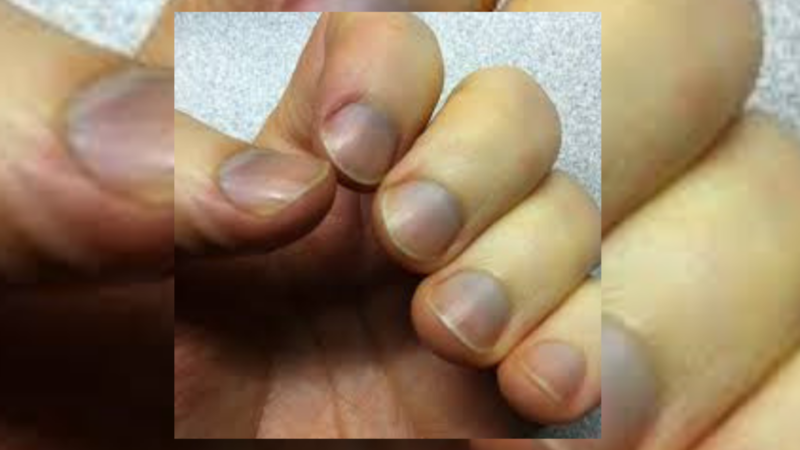 In some cases,high intake of betacarotine can also cause yellow nails. The nails are composed of keratin which contains amino acids that helps to bind the filaments together. If the pressure on the brain becomes unbearable,the neural network in the brain gets damaged which in turn makes it difficult for the filaments to bind together. This results in brittle nails and it clearly sends warning signal to the person that something is definitely wrong within the body. 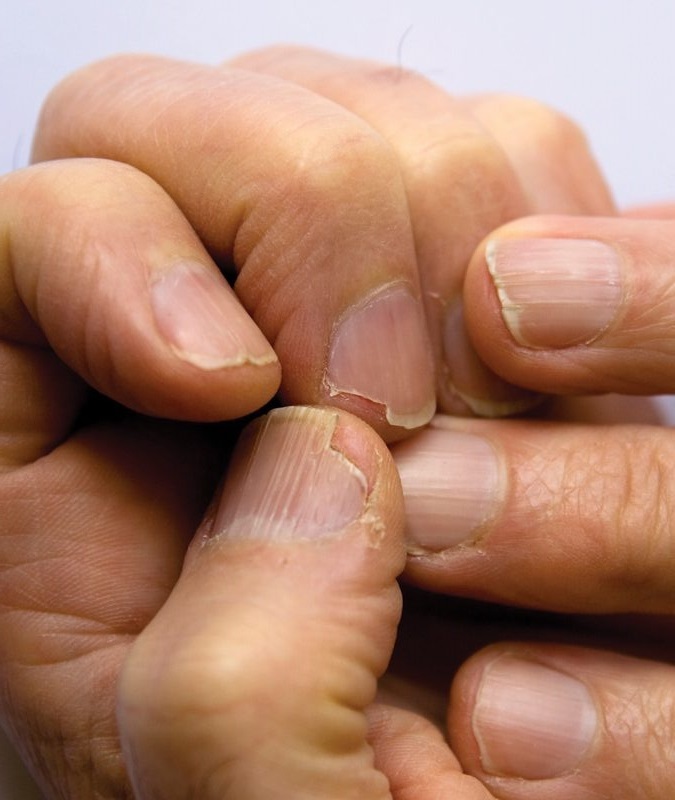 In some cases,anemia,thyroid problems and psoriasis can also cause brittle nails.